If you or your organization is in the process of establishing a Summer camp, whether it's a day camp or 24-hour camp offering recreational, educational or other enrichment programs to children 5 years of age (on or before September 1) and older, you must comply with Chapter 409.175 and 435, of the Florida Statutes. To protect our children, the Florida Statutes/law requires all summer camp personnel to be screened, including; owners, operators, employees and volunteers that provide summer care for children. Volunteers providing less than 10 hours of service per month do not need to be screened, as long as they are always within sight of a person who meets the screening requirement. DCF collects and publishes a voluntary listing of summer camp programs that have acknowledged screening requirements and that assumably screen all staff. 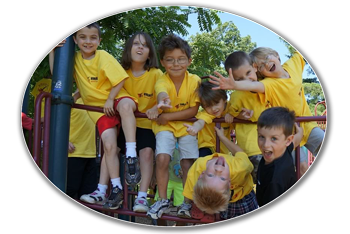 Summer camps are not inspected or regulated by DCF, but are required to have all personnel cleared through Level 2 background screening prior to caring for children. Submit your camp’s information to be featured in our Summer Camp Listing and reach hundreds of potential new campers! Below are more quick links to help guide you and to provide answers to your questions. LiveScan Form for individuals getting background screened for their employer. The employer will have an ORI/OCA # to identify their business. The employee must print this form, fill in the relevant information and present it when they go in for their screening at the LiveScan vendor. What are ORI and OCA numbers? Please report any complaints or concerns regarding background screening of Summer Camp staff to the Background Screening Helpdesk.